Bay of Fundy has a super star fame due to its too high tides. The tidal range of the bay is the highest in the world. But it is not everything about tides; there are also many things to see here. It is one of the most popular tourist spots in Canada. 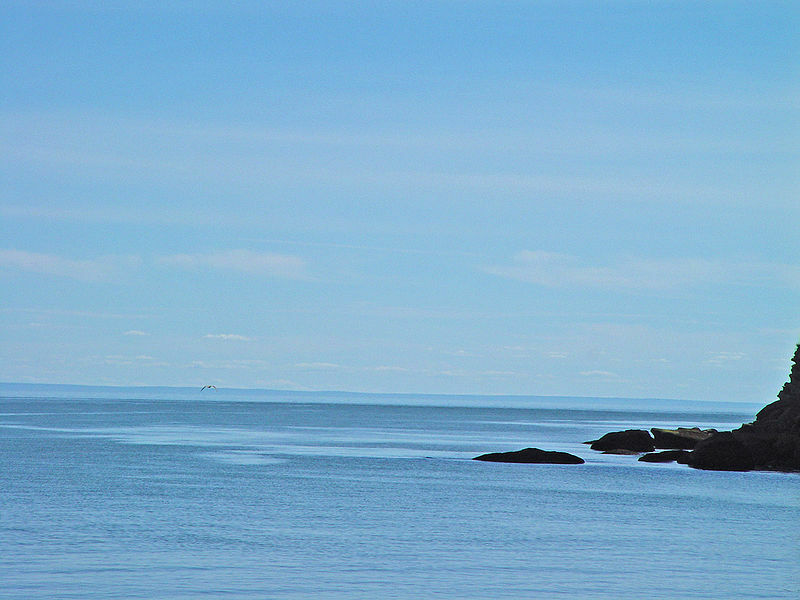 The bay is situated on the Atlantic Coast of Canada. It is sandwiched between two provinces of the country, New Brunswick and Nova Scotia. Actually, the bay is the north eastern most part of the Gulf of Maine. In fact, the southernmost part of the Bay of Fundy touches the US state of Maine. Let’s do some boring Geography and check some facts about the bay. The Bay of Fundy is situated within the longitude of 44°05'N to 44°39'N. It is extended from Cape St. Mary to Little River Head. The bay is 170 mi or 250 km long. The mouth of the bay is about 85 km in width but the middle portion is about 45 km. The tail of the bay has two split parts – Minas Basin and Chignecto Bay. 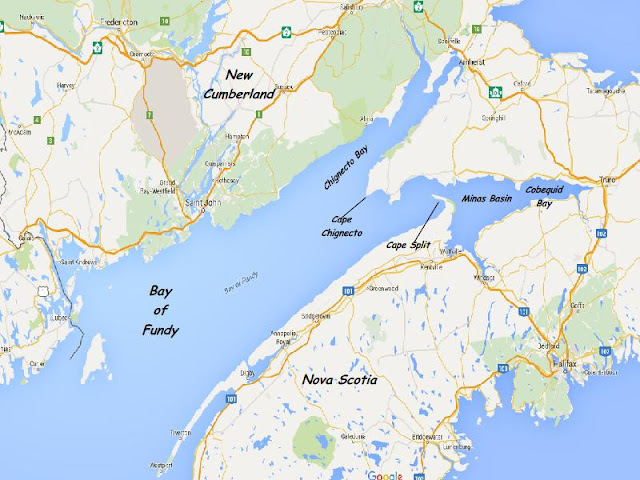 Minas Basin has another fraction named Cobequid Bay. On the other hand, the Minas Basin is also subdivided into two parts Cumberland Basin and Shepody Bay. It is all very confusing I know. 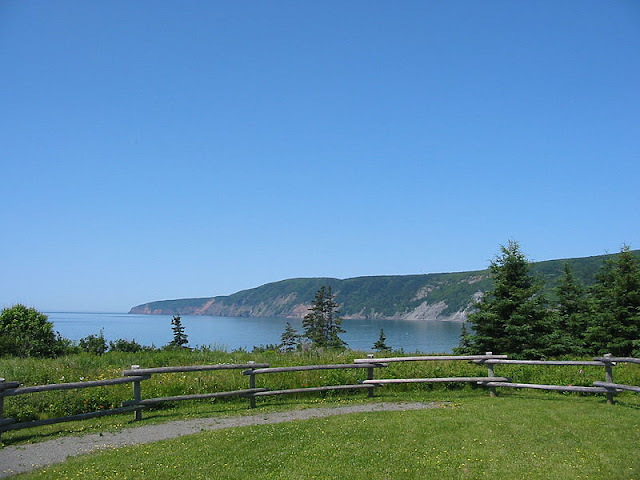 Cape Chignecto is the divider between the Minas Basin and Chignecto Bay. There is another long and thin cape named Cape Split near the Minas Basin. The surface area of the bay is 4,946 sq mi (12,810.1 sq km). 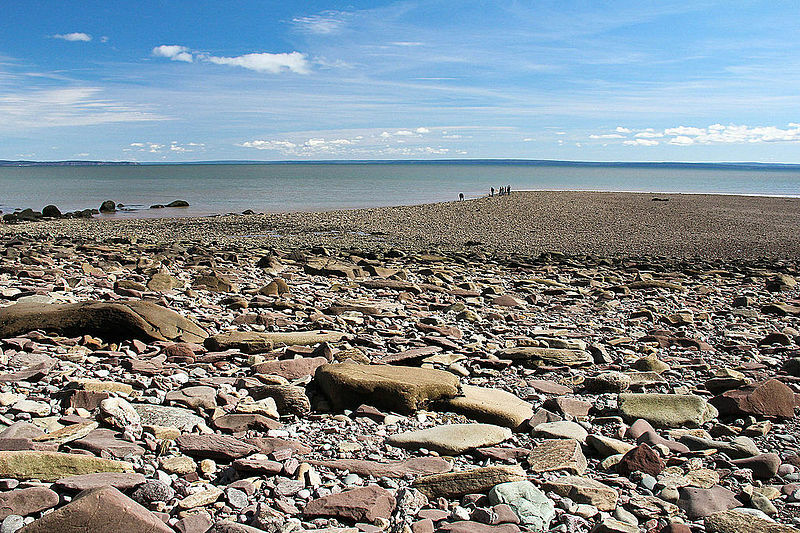 The average depth of the Bay of Fundy is 75 meter or 246 ft. It is shallow compared to depths of the nearby ocean. We all know that the Bay of Fundy is famous for its tides. 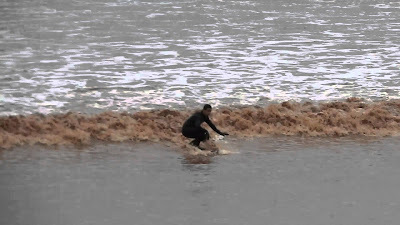 The height of the Tidal Bore of the bay is the thing which attracts people from all over the world to watch. 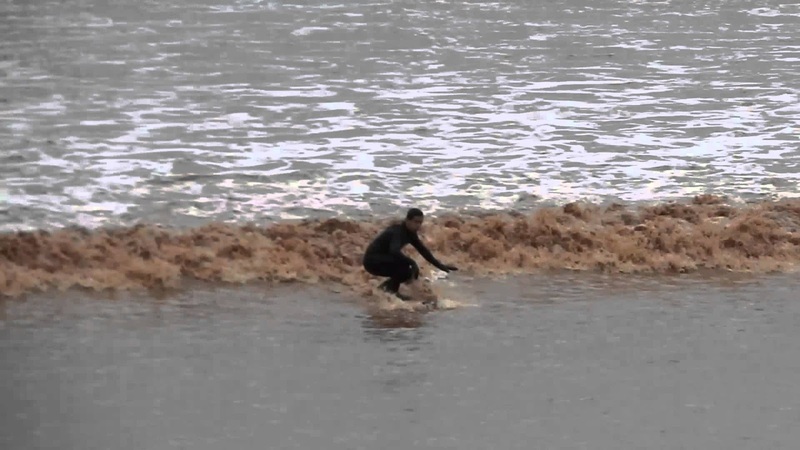 What is this “Tidal Bore” thingy? You will hear about it many times if you go to Bay of Fundy. It is nothing but a wall of tidal wave. It can only be seen during the flood times, twice a day. Pretty obviously, the ebb tides do not form such “walls”. The tides take place after an interval of 6 hours and 13 minutes. So, one can experience one high and another low tide within a day, from dawn till dusk. Point to be noted: the timing of the tide changes about 1 hour every day. There is also regional variation of the tide time. So, it is better to check the time beforehand from the locals. The average height of the tide is 3.5 m or 11 ft in the bay. If you want to see the really high tidal bores, go to the Minas Basin. There you can see the phenomenal 50 ft tidal bores. The best time to view the highest tides is the springtime. The reason behind the high tidal bores is the shape of the bay. Bay of Fundy has a wide mouth which becomes narrower to the end. So, when the tidal water enters into the mouth of the funnel, it is forced to go through the narrower channels to the end. As a result, the high tidal waves are generated. There are many small and medium sized rivers which add their water in the Bay of Fundy. Petitcodiac is the largest among all the bay area rivers. Its length is 79 km (49 mi). Some other important rivers are Salman, Upper Salmon, Little Salmon, Big Salmon, Saint John, St Crox, Cornwallis, Shubenacadie etc. In short, there are different types of Salmon rivers fall here that is all. The rivers all experience the tidal bores. During the high tides, the force of the waves pushes back the river water and the sea water reaches many miles upstream through the river channels. The famous Reversing Falls of the St John River is an interesting natural wonder. There is a narrow granite gorge through which the river water passes in two opposite directions according the high or low tides. There you can see the rapid change direction during the tides. The economy of the surrounding area is mainly dependent on nearby pulp and paper industry. There is also the Irving oil refinery which has a great impact in the local economy. 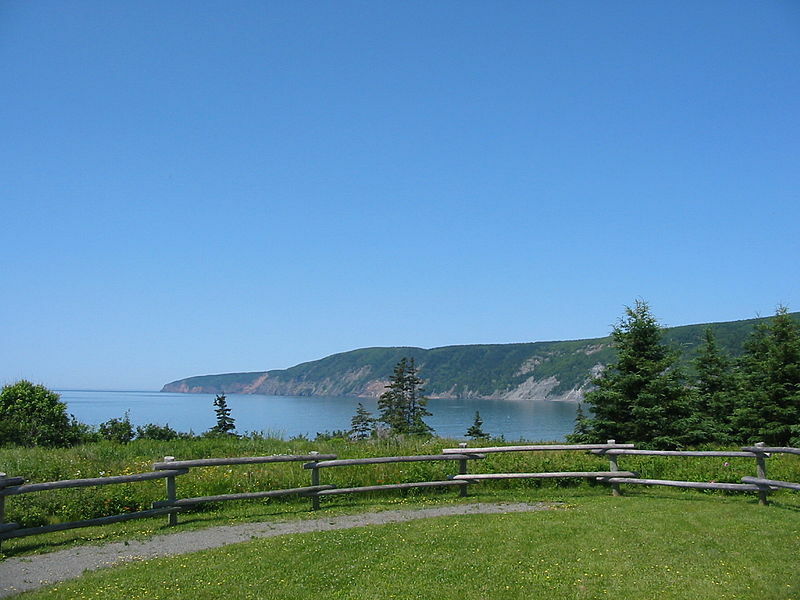 Bay of Fundy is also a very popular tourist place. So, tourism industry has flourished around the bay. There is also known for fishing of large amount of Herring. Some of the important ports around the bay are Hansport, Bayside, Eastport, etc. There are also many private and public ferry services which helps people and goods to move from one place to another. There is a big whirlpool in Fundy. 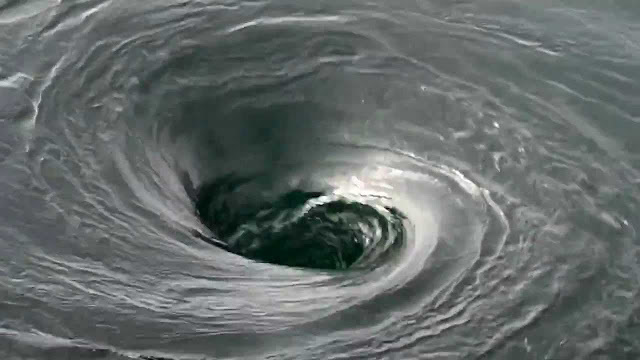 At 75 m, The Old Sow is the 2nd largest whirlpool of the world. It can be seen in the Passamaquoddy Bay caused by the conflict between the tidal waves and the water flow of the St Croix River. The best time to spot the whirlpool is the three hours before the high tide. Between July and October each year, about two million Sandpiper birds are migrated to the muddy beaches of the Bay of Sandy. During the winter, they fly away 4000 km south to the Latin America. The areas around the Bay of Sandy and its rivers are flooded everyday by the huge tidal waves. As a result red mudflats have been created. They can be seen mostly in the upper regions of the bay. The mudflats of the bay are thriving with life. There are many species of invertebrates here. Most famous among these are the Mud shrimps (Corophium volutator). 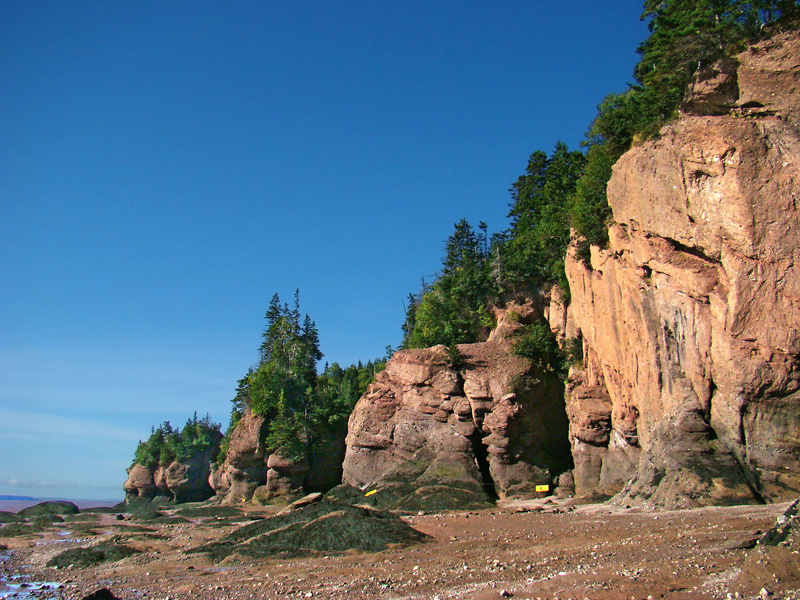 Hopewell Rocks are among the many natural wonders of the Bay of Fundy. These rocks are also popularly known as “Flowerpot Rocks”. The force of the tides has eroded the base of these rocks. But the top remains untouched by the water. So, they get unusual wide head narrow base shapes. Often, with green trees atop, they looked like huge flower pots. 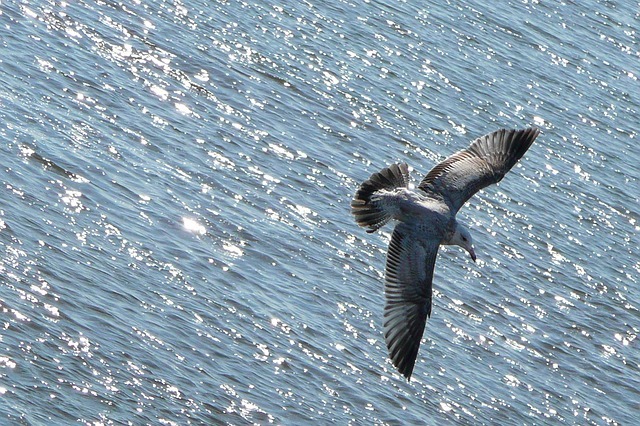 Due to the diversity of wildlife, the Bay of Fundy is compared with the Amazon Rain-forests and the Great Barrier Reefs. Bay of Fundy is frequented by many species of whales. The most common species can be noticed here is the Northern Right Whale. Some other species of whale who visit here are Humpback, Finback, Killer, Blue, Baleen, Sei etc. There is a tidal energy project going on to generate clean renewable energy by using the immense force of the tidal waves of Fundy. There is already a tidal power farm is operating in the area. Annapolis Tidal Power Plant generates 30 million kWh power each year. The Bay of Fundy is the home of thousands of marine and semi-marine species of animals and vegetation. The nutrient rich waters and the mudflat is full with numerous types of fishes, crabs, krill, plankton, whales, seals, dolphins, shrimps, birds and many other types of vertebrates and invertebrates. The growing commercialization of the area and the development activates are harming the natural environment. There is also concern about the ongoing tidal power generation projects here. We, the people must consider the fact that development is necessary but it should not cost the Bay of Fundy dearly. So, every effort should be taken to save the Bay.